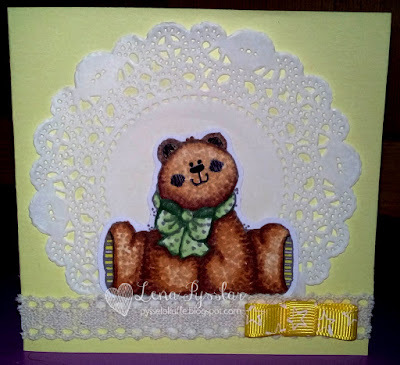 Hello again to you all and what a wonderful job you did with the sewing challenge this past week! All of the entries were so beautiful, it was really difficult picking just three! Sorry to be a bit late with the winners this time around. Thanks again to everyone who played along and I hope you'll come back and play again! This is the first of our monthly challenges , just for the summer months, to give the DT more time with family etc. 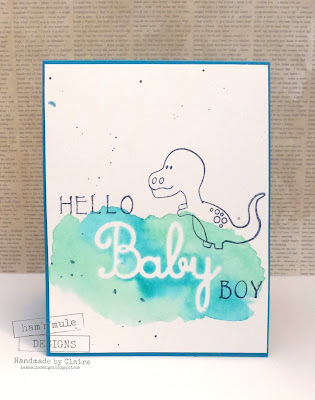 ALSO our big news is that Hazel (Didos) is leaving as the Challenge leader and, as we dont want the challenge to end, I am taking over the running of the blog for the foreseeable future, hoping Hazel may want to come back at some point. She is with us for this challenge but I want to wish her well, as do all the DT, she has been a wonderful leader and blog friend. 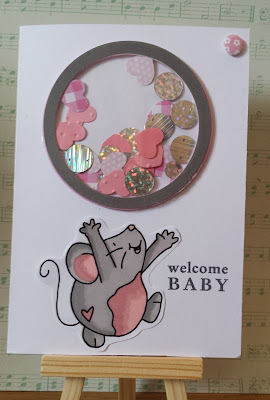 I am standing in for Susan on team B today, and I have chosen a theme of Baby, just because I love Baby cards or creations. Susan is away but has put her card on. So remember, this challenge will run for one month until 5th August. Make it a great one for Hazel's last one!!!! !